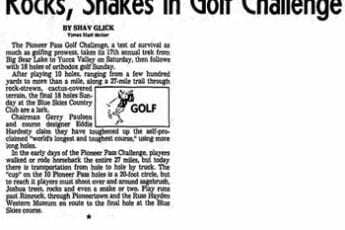 Every community and city in Desertland California is invited to take part in the Pioneer Pass Golf Challenge that introduces the 19th hole—35 miles of rugged, desert mesa and mountain obstacles. 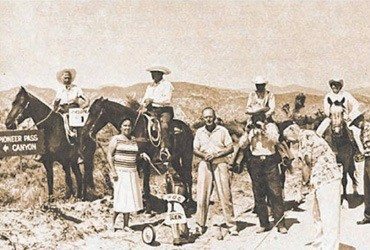 This unique 37-hold golfing tournament, open to all comers, will take place Oct. 2, 3, 4 in the Hi-Desert and mountainous areas of Yucca Valley and Big Bear Lake. All Chambers of Commerce are being invited to enter one or more contestant in this match offering prizes ranging from cash to participating community’s finest products or vacation lures. 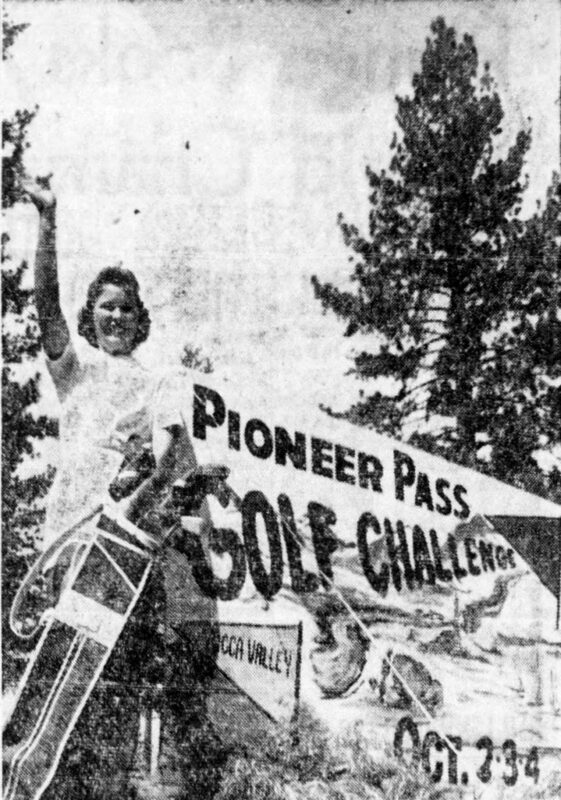 To reign over the world’s greatest three-day Golf-O-Rama, a part of the California State Chamber of Commerce Desertland Month festivities, a search is being conducted for a “Golf Girl.” Winner will also reign over the $20,000 third annual Hesperia Open. 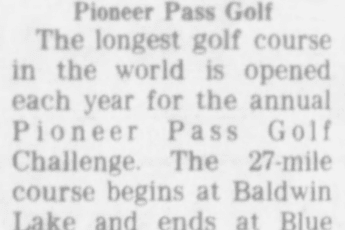 All communities should rush snapshots of one or more candidates, married or single, no age limit to: Pioneer Pass Golf Challenge, Pioneertown, Calif. Entry deadline is Sept. 1.